Well after much discussion with my colleagues, I am guessing this is Berghia rissodominguezi. 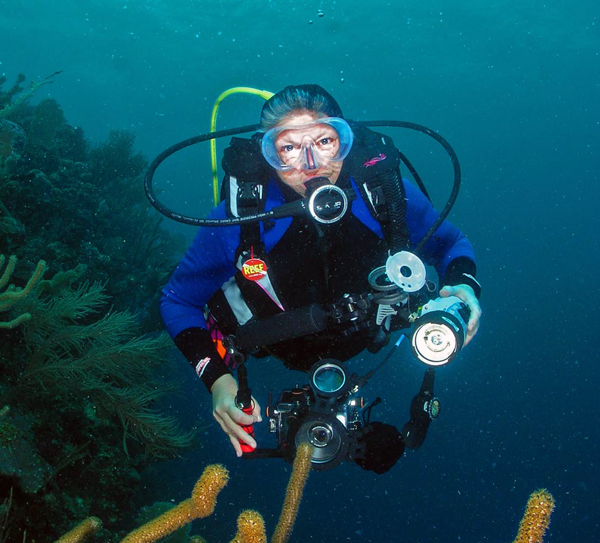 Our collective decision is based primarily on the tubercles on the posterior side of the rhinophores, although the colors do not completely agree with those in the photo of this species on page 274 of Caribbean Sea Slugs . 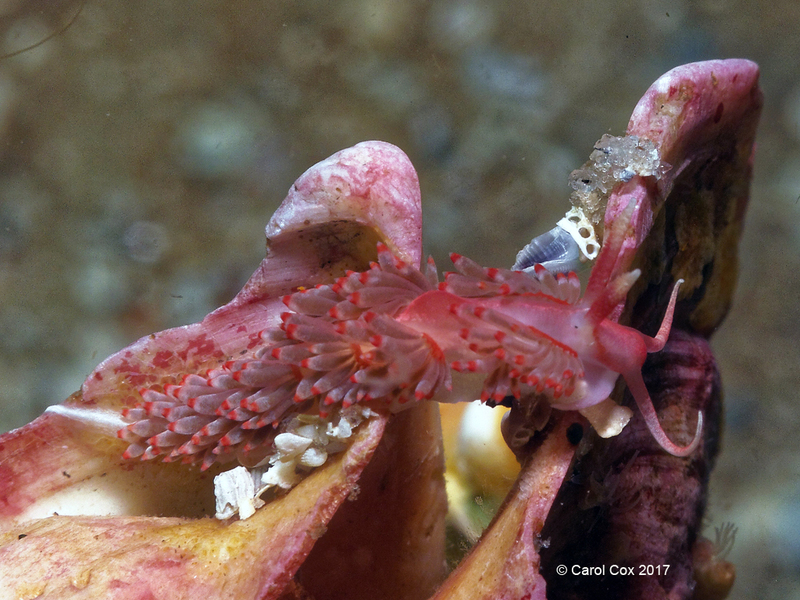 Carol had originally ID'ed this critter as Antaeolidiella indica, but that species has smooth rhinophores. I would love to comment on the very unusual character, Dr. Carlos J. Risso-Dominguez, of Argentina, for whom the species was named, but I will refrain from this distasteful topic. But oh the stories I could tell. 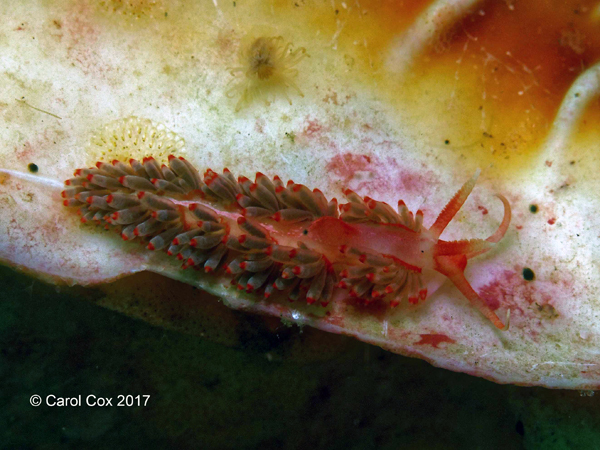 This is a very interesting find of a fairly rare species, but then again not that many folks dive the northern Gulf of Mexico for nudibranchs. Thanks Carol. 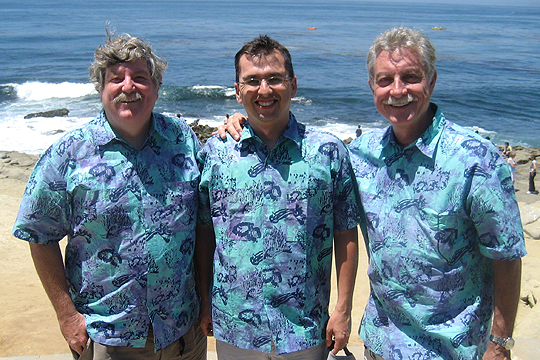 From left to right, Terry Gosliner, Angle Valdes, Dave Behrens La Jolla, Calif.